The business model for many Los Angeles and Southern California business executives is changing as small to mid-sized companies choose to outsource many ancillary services that aren’t part of their core competency, rather than perform these functions themselves. Doing so helps companies increase efficiency and productivity, as well as stay focused on the things that have a direct impact on their success. Finance, human resources, legal and administration are a few examples of business functions that usually aren’t part of a business’ core competency and could be more efficiently handled via outsourcing. By turning to outsourcing, companies can better control their capital costs by converting fixed costs to variable, while freeing up capital that can be invested in other more productive areas of your business. An interesting development has arisen as more and more companies have turned to outsourcing for their non-core competencies. While outsourcing has allowed them to run “lean and mean,” this leanness can make them less aware of the cross-functional impacts of developments and issues that may arise within their industry. Changes in employment law are a good example. If a company is outsourcing its HR functions and only retains a skeletal (if any) HR staff, it might be unaware of the full impact of employment law changes on the business as a whole. These changes could affect not only direct labor costs, but they could also have an impact on production costs and timing, among other things. 1. Unforeseen operational side effects — The impact of a solution that’s focused on one aspect of the company’s operations could have unintended consequences or side effects on other areas of the company and its operations. 2. Missed financial opportunities — Your clients could miss out on the opportunity to maximize the financial upside, or minimize the financial downside, of decisions they make. 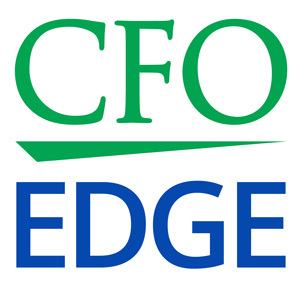 Working with an outsourced CFO services provider is one way that your clients can avoid these pitfalls. An outsourced financial professional will work closely with your clients to help them understand the full cross-functional impact of decisions they make, while also helping them perform a cost-benefit analysis on various options that are available to them. For example, a human resources professional was engaged to source additional staff for a client because of customer service complaints. In researching the positions requested, the HR professional realized that his client had not fully evaluated the cost of the new hires, or whether the problem was a training or workflow issue. The client was just reacting by “throwing bodies” at the problem. An outsourced financial professional was able to determine not only the total costs of the staff additions the client requested, but also whether the problem could be solved operationally — for example, by updating workflow procedures instead of increasing staff. 1. Improved relationships with your clients, who will view you as a strategic partner who is truly invested in helping them meet their financial and operational challenges — not just a consultant or vendor who is only interested in how many hours you can bill them for. 2. More referrals from your clients, as they tell other businesses about your willingness and ability to provide proactive solutions to their problems. 3. More business from your clients, as their improved results may lead to an increased need for your services and materials. Many of your clients are turning to outsourcing ancillary services that aren’t part of their core competency. Doing so helps them increase efficiency and productivity and stay focused on the things that have a direct impact on their success. But while outsourcing allows your clients to run “lean and mean,” this leanness can make them less aware of the cross-functional impacts of developments and issues that may arise within their industry. By working with an outsourced financial professional, your clients will better understand the full cross-functional impact of decisions they make. Meanwhile, referring your clients to an outsourced CFO services provider can result in a number of benefits to your firm.